The last direct acceptance is Jan Mertl, ranked 217th. Granollers did about as well as you could expect him to at Roland Garros, beating qualifier Mattias Bachinger in straights sets in the first round before gracefully bowing out to Roger Federer in his next match. Berankis knew more disappointment, losing 6-2 7-5 6-1 to Sergiy Stakhovsky in the first round, where he was thought to at least keep it a lot closer. Granollers is obviously a very tough draw in a Challenger and I’m afraid it will result in Berankis’ fifth consecutive loss. A very interesting encounter between two veterans, 36 (Stepanek) and 33 years old. It’s not often you get to see the former world #8 (Stepanek) and #12 face off in the first round of a Challenger. Roland Garros meant the first tournament since his comeback from injury in which Stepanek showed glimpses of his old form, beating Ivan Dodig in four sets in the first round, before falling to countryman Tomas Berdych in four sets as well. Mathieu had a horror draw against Kei Nishikori and understandably was unable to offer much resistance. Their head to head is 3-3, but the last time they played was all the way back in 2007. This half is headed by Martin Klizan, who is leading a list of seeds that consists solely of top 100 players, a very rare occurence on Challenger level. He will face stiff competition from Dusan Lajovic, his potential quarterfinal opponent, who took a set off Stan Wawrinka in the second round of Roland Garros. Their meeting is likely to determine the finalist from this half, with the favorites to become their semi-final opponent being Granollers and Stepanek. This half is likely to have a similar scenario as the top one, with a reasonable chance of the finalist coming out of the quarterfinal match between Santiago Giraldo and Jiri Vesely. Both had decent showings at Roland Garros, with Giraldo losing in four sets to David Goffin in the second round, while Vesely lost in five sets to Leonardo Mayer in the first round. The most dangerous floater is Luca Vanni, who might face Giraldo in the second round. The last direct acceptance is Hiroyasu Ehara, ranked 486th. 17-year-old Lee is having a good year, rising almost two hundred ranking spots and now being close to the top 300. He may very well pull off the upset here, having almost beaten top 100 player Go Soeda, the top seed this tournament, in Seoul a couple of weeks ago. There is very little to analyze here, since Go Soeda is so far above the rest of the field on paper. His ranking is an enormous one hundred and twenty-one spots above that of the second seed and barring an upset like Duckhee Lee putting up the same resistance like he did in Seoul, it’s hard to see another winner here. The finalist from this half is likely to be determined in the semi-final encounter between Ramkumar Ramanathan and Ti Chen. The two have shown their level is pretty much on par, with their two matches being decided by the narrowest of margins. Last year Ramanathan won 6-7(6) 7-6(2) 7-5, while in February of this year Chen won, 6-4 3-6 7-6(5). The last direct acceptance is Vincent Millot, ranked 204th. Former world #18 Florian Mayer received a wild card. Together with Stepanek – Mathieu in Prostejov these are clear instances of the saying ”how times change”. Mayer, who just returned after being out almost a year with injury, is the former world #18, while Montanes reached #22. Their head to head is 2-2, going back all the way to 2002, with Mayer winning their last encounter on clay in 2012, 7-6(2) 4-6 6-4. Despite just returning on tour, Mayer has looked sharper in his latest matches than Montanes and I expect the German to come through. Gojowczyk is another player just coming back from injury, having been out since the Australian Open and returning at Roland Garros last week, where he did well to win a set against Roberto Carballes Baena in the first round of qualifying. Ymer beat Carballes Baena in the final round to qualify for his first ever Roland Garros main draw and should be marked the favorite here. However, if Gojowczyk is back to 100% again it should be a tough encounter. Top seed Albert Ramos-Vinolas is the favorite here, but there are a couple of players who could prevent him from reaching the final. First of all Thiemo de Bakker, his projected quarterfinal opponent. The Dutchman is very erratic, but has showed good form at the Challengers recently, reaching a final and semi-final at his two most recent ones. However, he faces Inigo Cervantes in the first round, who won the Vicenza Challenger last week. From the other section Mayer is of course a big threat if they were to meet. Looking at their head to head, Mayer does not want that to happen. Mayer won all their encounters very convincingly, 6-3 6-2, 6-1 6-2 and 6-2 6-4. A very interesting potential second round is brewing, with Kimmer Coppejans and Taro Daniel likely to face off, two in-form clay players who both managed to qualify for Roland Garros. Two months ago they played in Mersin, resulting in a blow-out victory for Coppejans, but the level the Belgian displayed there was insane and he has since dropped his level a bit, making it likely it will be a bit closer this time around. Other dangerous players here are Gerald Melzer and John Millman, who reached the final of Vicenza last week. The last direct acceptance is Matthew Ebden, ranked 236th. A very tricky draw for Bemelmans, facing the man who actually has an ATP title on grass, having won Newport in 2009. Granted, the opposition he faced was Challenger like, only playing a top 100 opponent in the final, but Ram knows his way around a grass court. 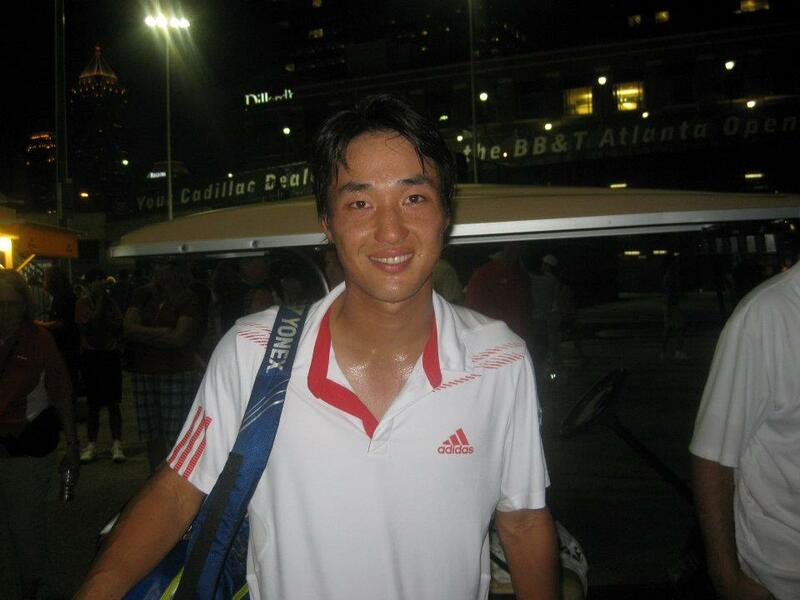 He also beat Kei Nishikori at Newport in 2012. However, Bemelmans already faced Ram once on grass two years ago at Nottingham, where he easily beat Ram 6-3 6-2. It’s almost as if Ward doesn’t want to reach the top 100, getting stuck at #101 and since then posting some really bad results, including a 6-0 6-2 first round loss against Filippo Volandri last week. Now he faces a very tough opponent in Sijsling, who surprised everyone by qualifying for Roland Garros, on by far his weakest surface. This half is headed by Marcos Baghdatis and he has a comfortable first two opening rounds, before a very tricky one against renowned grass courter Alejandro Falla. However, Baghdatis matches up well against Falla, so he should be able to overcome that hurdle and eventually reach the final. In the other section Malek Jaziri is the favorite to come through to the semi-final, being a very capable player on grass who last year managed to qualify for Wimbledon. It’s hard to look past the big serve of Sam Groth here. More than excellent on grass, the Australian is unlikely to be troubled in this half by his main competitors, who are likely to be Sijsling and Bemelmans, his projected quarter- and semi-final opponents. A final against Baghdatis will probably be a great match and given their edge over the rest of the final that is also a likely outcome.